Frozen is quite common for groceries such as frozen meats, veggies and some breads. It’s the easiest to control of the four options since it allows for a wider range of temperature fluctuations. For example, a frozen load can be set for -20F and range up to 5F before we need to be alarmed. However, in the event of a reefer failure, immediate action is required to correct the problem, especially in the warmer months. Fresh is the most common mode but carries more risk than frozen, as temperatures need to be maintained within 5F in most cases. This mode is used for dairy, fresh meat, fresh fruits and fresh veggies. Many fruits require a specific temperature to ensure product integrity. Think of your fridge at home, items that are just a couple of degrees colder or warmer than desired will quickly discolor, taste different and easily spoil or freeze. We are expected to maintain the same temperature from somewhere very warm in the Southern US to a colder Canadian climate. Multi-Temperature allows multiple temperatures on the same trailer. These are referred to as zones. Bison offers both two and three zone trailers. This allows a customer to ship their frozen, fresh and dry or heated freight on the same trailer. The zones are separated by a series of walls that isolate a section of the trailer. This service is common for grocery customers who deliver direct to stores. Wal-Mart utilizes this service daily from the distribution centers. Multi-temp trailer equipment provides a great alternative to those customers who ship commodities requiring multiple temperatures (i.e. fresh & frozen) in the same trailer. Although there is a greater cost of such equipment, as well as risk, it’s a safe and reliable way to ship grocery products. Ambient freight is a service typically found in the pharmaceutical industry. Most narcotics are manufactured, stored and transported in a temperature-controlled environment, typically 60-77F. Law requires these products to remain in this range until the end user. Some items separate or become less effective if they should freeze or become too warm. A great example is anesthetic used in surgery. Product affected by freezing may not work and a patient could wake up during a procedure. Our reefer units can be set to an exact temperature, which ensures this product remains in an ambient environment whether shipping in February or August. When an issue occurs, products need to be sent to a lab for testing. If deemed unusable, the claims are substantial - in some cases well over $100K. Temperature integrity within all of our service offerings is managed through a series of technical and practical applications. Drivers provide our first, last and best line of defense. They can often diagnose an issue and provide some resolution or short-term triage to a unit while in transit. They provide useful information to our maintenance teams and can redirect to a refrigerated dealership or warehouse if required. When time is critical, you cannot beat a live, hands-on approach. Bison also uses state-of-the-art reefer tracking programs. This enables a user anywhere with an internet connection to look at a unit online. We can view alarm codes, see and adjust temperature settings, check fuel, defrost and conduct a variety of other functions with the click of a mouse. This visibility allows for an extra layer of protection for these loads. The information from this program will be connected to our system. The result is real-time notifications when a reefer is either not performing properly or a discrepancy exists. These tools all contribute to a reduction in the precious time gap. 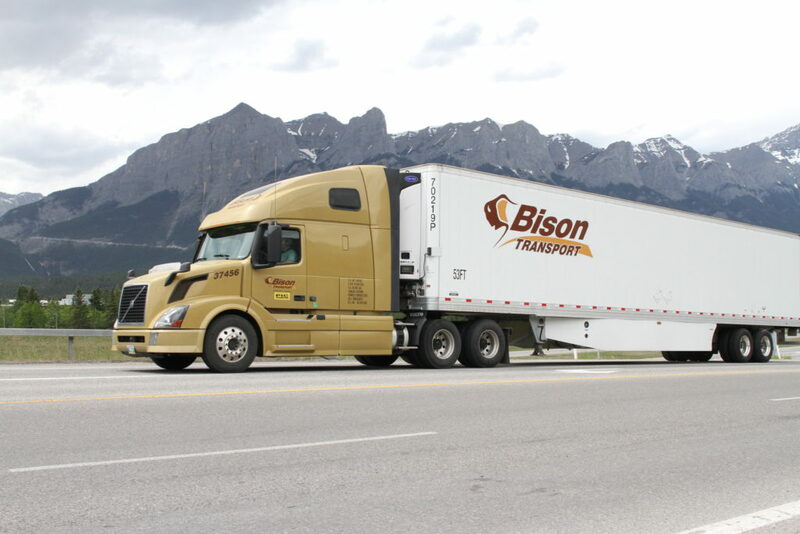 Bison Transport takes pride in staying ahead with our truck technology to keep our customers in the loop and keeping our Driver's trained to provide the best service possible. We hope you'll come to us for all of your refrigerated freight needs! Click below to contact our Sales Team for information about shipping your refrigerated freight!